Have you ever noticed that once you wake up in the morning, all of a sudden you start sneezing? 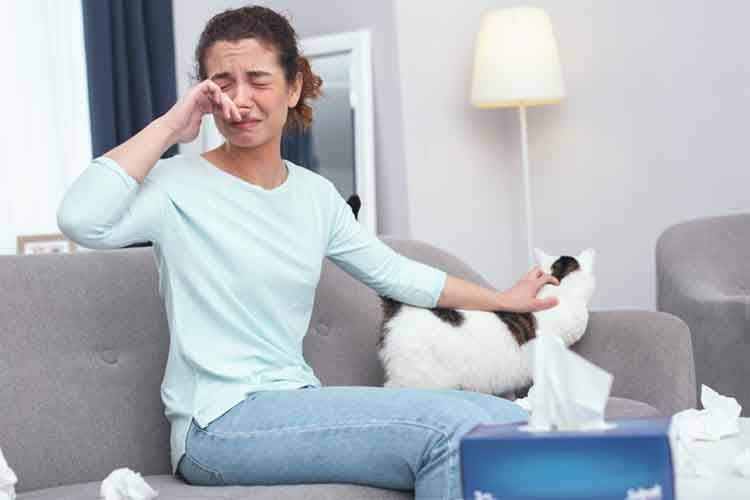 If someone in your family suffers from indoor allergies, these tips may help reduce indoor allergies. 1. How old are your carpets in your home? Wall-to-wall carpeting is one of the most prominent indoor allergens collectors. The carpet fibers retain all kinds of unnoticeable particles such as dust and pet dander. Not even vacuuming every day, will get rid of all of them because vacuums can’t reach every corner unless they are super powerful or commercial grade. Also, the synthetic dies and glues get people allergies without even knowing it even from the chemical stain guard protection. You should try to remove your wall-to-wall carpeting and salvage the hardwood flooring underneath or, consider installing linoleum, or other flooring made from eco-friendly materials. Conventional indoor paints can have fumes that cause headaches, respiratory problems, and allergies. Even people with no allergic reactions may begin suffering from allergies from these paint fumes. Next time when you buy paint, check with the painting department representative and ask him about eco-friendly water-based paints that contain natural pigments. If you have living room furniture that is made with plush cushions, natural wood furniture is an excellent choice to replace them. Also, cushioning furniture, over time, becomes dust and pet dander collector. Another option is natural leather furniture. 4. Is your bedding over eight years old? Get rid off it! Your bedding, mattress, pillows, and comforters conceal allergens. Now you have a good excuse to re-decorate your bedroom! Replace your comforter with cotton quilts and blankets of Un-dyed and organic cotton materials. These natural fibers like cotton won’t make you sneeze and keep your allergy free. Replace your mattress with one that contains natural rubber, organic cotton, and wool products. These products do not contain synthetic chemicals and will help you reduce your allergies. Curtains with thick material have lots of folds and are dust collectors. Remove and replace them with natural window treatments that would also look more modern. The folds in the drapes collect dust and even though you can take them down and wash them, doing this every time as needed is a hustle. You are better off changing the window treatments for some low maintenance ones! This will remove all of the allergens that collect in these type of material. These are just a few simple tips that you can change in your home to help reduce your allergies!